The ANC’s national policy conference has questioned the value of South Africa’s cherished membership of Brics – the Brazil, Russia, India, China and South Africa forum – which is a cornerstone of South Africa’s foreign policy. By PETER FABRICIUS. 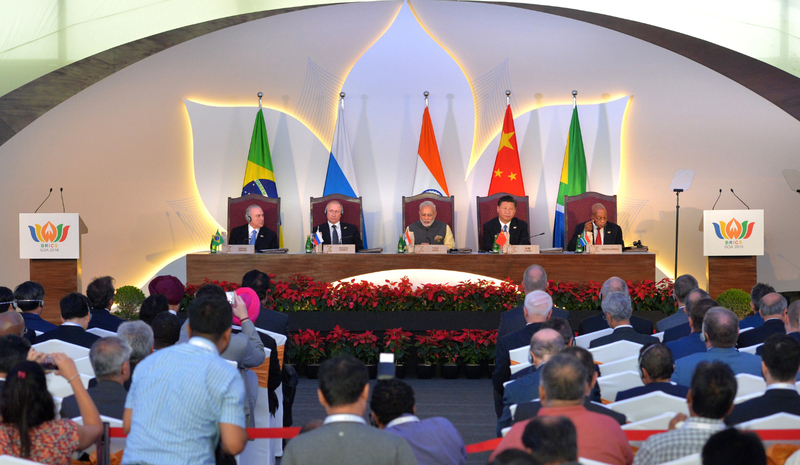 The conference noted that although Brics had increased South Africa’s trade, the balance of trade with some Brics countries was not in its favour. Miriam Saohatse, a member of the ANC’s national executive committee, told journalists on Tuesday that the conference had recommended that the ANC should constantly review and analyse South Africa’s relations with individual Brics members “and the role they play in advancing the world we aspire to”. On Swaziland, Saohatse said the policy conference had called for the Southern African Development Community (SADC) to intervene in the country because of the “gross violations of human rights” which the Swazi people were suffering, including the banning of political parties like Pudemo and imprisonment of political leaders. The conference also reaffirmed the decision of the ANC’s 2012 conference that South Africa should withdraw from the International Criminal Court (ICC). Last year the government did formally apply to the court for withdrawal but withdrew the application after the High Court ruled it should have first received parliamentary authorisation. The conference has also decided that South Africa should downgrade its embassy in Israel to send a strong message of disapproval of Israel’s continuing occupation of Palestine territory and its human rights abuses there. She said that a call by some delegates for the embassy to be shut down completely had been rejected. The conference had also called on the ANC to do a risk analysis of the consequences of a downgrade in relations and that this analysis should inform the government’s decision.